Along with all interior details. If you are contemplating building a new house, some town houses, a factory, an office block or a shopping centre or remodeling and extending an old one, we can be of considerable help in making it a pleasant experience. We do residential, Rdp type, industrial and commercial building. Tiling, roofing, paving, plumbing maintenance, refurbishment and painting, electrical installation and reticulation. Simon is a SACAP registered Senior Architect Technologist as well as on aluminium Estimator draughtsman. 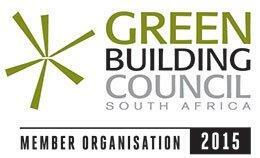 We are affiliated to SACAP, NHBRC, Cidb (Rating 1) and we are proudly BBBEE Level 1. They are the best in their field and are visit clients. This enables us to provide a personalized service to our clients that fits in with their needs. As we have a number of draughtsman, we are able to provide “fill-ins” if any of our draughtsman are ill or on leave, thus providing an unbroken drawing service. Actual construction of your homes/ offices etc, Cost and estimation (Where no QS are appointed) and budgeting. Assistance with appointing electricians, welders, plumber and other tradesman. We also do manufacturing and installation of architectural aluminium windows and doors in South Africa and other African countries. We ensure that our products are manufactured to the highest quality standard. TTS Architectural projects have experienced draughtsman that are the best in their field and are visit clients. This enables us to provide a personalized service to our clients that fits in with their needs. If you are contemplating building a new house, some town houses, a factory, an office block, or a shopping centre, we can be of considerable help in making it a pleasant experience. We do manufacturing and installation of architectural aluminium windows and doors in South Africa and other African countries. We ensure that our products are manufactured to the highest quality standard. We provide professional and ethical assistance to all your property requirements, including real estate and project pricing. Please feel free to contact us today for the best service in town. Is a reputable company based in Wendywood, Sandton. The company was established in 2013. We specialise in Residential and small to medium commercial and industrial projects. The company was established by owner founder Simon Siziba Danke. Simon Siziba Danke is a registered Senior Architectural Technologist professional in South Africa and has been practicing since 2007. Simon has been responsible for the design and project management of numerous large scale community projects, game lodges and government buildings. He offers extensive experience in commercial, industrial and leisure architectural design and is also responsible for interior architectural design for the firm. Simon is also an Aluminium Estimator Draughtsman. We have a professional, accurate and personalized service.